As soon as I saw The Body Shop's new Vitamin C Glow boosting moisturiser I thought it was probably aimed at being a bit of a dupe for Origins GinZing moisturiser, which was my favourite morning moisturiser at the time (possible spoiler alert there!). I was thinking of buying a new GinZing for the summer, but as this is £7 cheaper I thought I'd give this a try instead. The Vitamin C Glow boosting moisturiser is supposed to fight the signs of fatigue, boost radiance and refine texture for smoother, softer feeling skin. 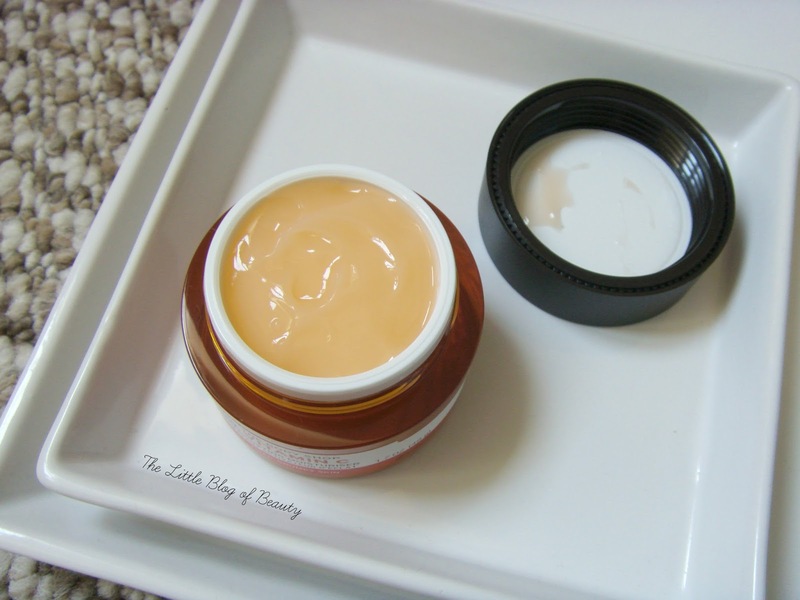 It's a light gel-cream type moisturiser with a light peachy orange colour and a lovely fresh citrus scent. It absorbs quickly leaving nothing behind and despite being light it provides a good dose of moisturisation leaving my skin soft and smooth. My skin is dry/very dry/dehydrated but much prefers these lighter gel-creams over thicker, heavier moisturisers that it struggles to absorb. I haven't really noticed that this makes my skin glow at all but to be honest that wasn't why I bought it as nothing ever really seems to make my skin glow. When I took a look at the ingredients I found that alcohol denant was the second ingredient. Not knowing what this was I turned to Google and discovered that alcohol used in products that are not for consumption need to have a small amount of denaturant added to make it taste bad. Alcohol denant is the name used for denatured alcohol. So this does mean that this product contains a high level of alcohol, which I know some people won't be keen on. I'm not personally against alcohol in products and I haven't noticed any apparent negative effects from this. The only difference I can see between this and the Origins GinZing moisturiser is the colour of the gel-cream, with this being an orange colour and GinZing being white. Apart from that this is possibly not quite as cooling as the GinZing moisturiser, but I did sometimes find that the cooling sensation could also sting very slightly if my skin was particularly dry. This isn't something I have noticed at all with the Vitamin C moisturiser but then my skin hasn't been particularly dry recently. There is also obviously a difference price wise. The Origins GinZing moisturiser is £23 (although you can currently get a limited edition bigger size for just £2 more) whereas the Vitamin C Glow boosting moisturiser is just £16. As a new product you can't use any offers on this but you can use your Love your body card if you have one for 10% off. I was lucky and with the combination of a gift voucher and my Love your body discount I managed to get this for £2.40! The Body Shop Vitamin C Glow boosting moisturiser is available in store and on The Body Shop website. 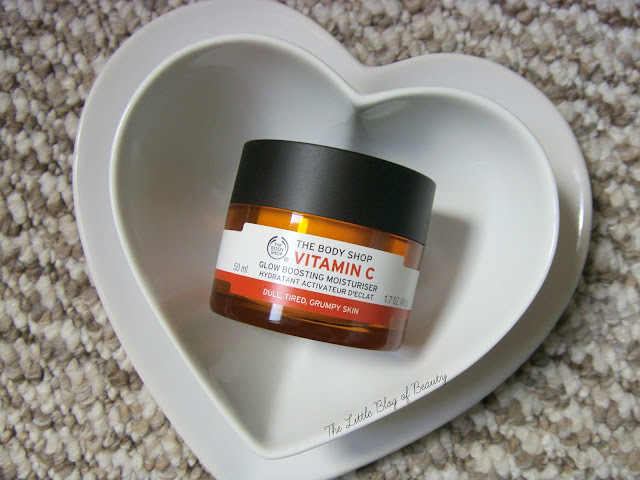 Are you a fan of any products from The Body Shops Vitamin C range?